The M309 cartridge is the standard ammunition issues to the Colonial Marines in the mid-22nd century, and achieved widespread issue, if not acceptance, by 2179. The projectile and cartridge are of unusual construction, and many questionable design choices were made in the design and construction of the projectile. This is not unique to the M309 – controversies over ammunition choices have been part-and-parcel of military procurement since the 20th century, if not since the creation of the minie ball. 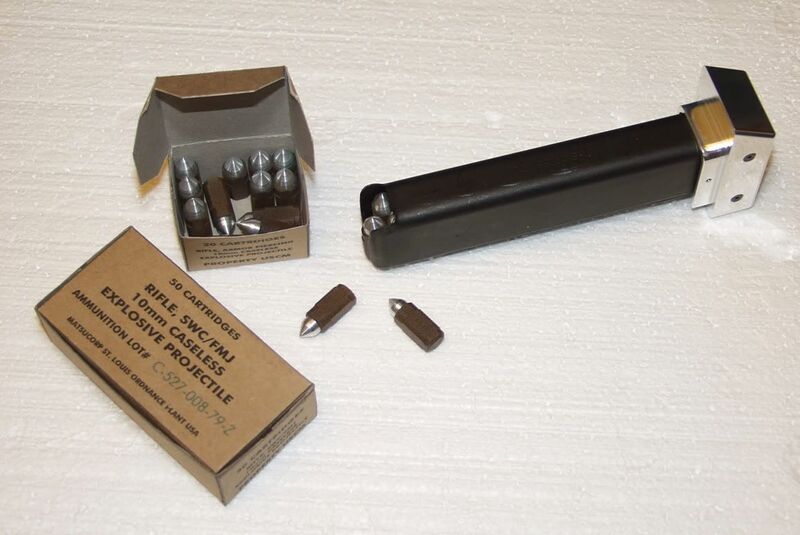 The basic inputs will be driven from the standard load: the steel-jacketed, 210-grain explosive projectile that is the standard issue to the marines. Basic inputs for the calculator are as follows, selecting 247mm as the test barrel length, as this was the basis against which all future designs are compared. The rated cartridge is the standard projectile, and unusually for a standard cartridge, has applicability from pistol-length to anti-material-rifle length barrels. No doubt this was a selling feature to the appropriation and acquisition boards. The velocity is at the muzzle. The velocity with the 247mm test barrel is tuned to match the 840m/s spec with a 210-gr bullet. There are many other loads available, but my practice is to take the highest energy commonly listed. The SMG-length barrel of the M41 Pulse rifle was a controversial choice, as was its standard “magazine in front of the handle” layout, at the time. This configuration still delivers 8d-1 (2) pi+ damage, and if the projectile actually reaches the internal tissue, it explodes, replacing pi+ with an explosive x3 multiplier. The round’s fusing is . . . twitchy at best. If it hits armor and penetrates, it will perform as advertised. If it does not, and strikes clothing, non-rigid armor, or bare flesh, roll 1d. On a roll of 1-3, the round will not explode. Not that 8d-1 pi+ nothing. The large projectile and heavy bullet make for an interesting design. High energy throughout the range of barrels generally used, a barrel swap (and extended grip) can make for a very useful Designated Marksman configuration with substantially increased penetration. There are a small number of alternate loads. The most notable is the copper-jacketed M315 “hardball” projectile. With identical ballistics as the M309, this solid round is much, much less expensive than the original – and standard-issue – projectiles. It is hardly less lethal, as well. Finally, a word must be said about the competition. As noted, the 10x24mm was a controversial choice even at the time, and remains so. The large diameter of the projectile, and fairly low explosive charge, makes the whole idea look good on paper and less so in the hands of the long-suffering troops issued the weapon. The XM350 was a more conventional – and some still maintain superior – choice at the time. As the old movie goes, there really can be only one. The M41 Pulse rifle was the answer to the question of how the M309 projectile was to be launched. The advertising copy says that the firearm can hold 99 projectiles, which it attempt to accomplish with an (again, controversial) 4-2-1 configuration. The stack is 4 cartridges wide near the magazine base, tapering to two and then a single round at the chamber. This overly-complicated design was made necessary by the observation that a double-stack magazine would be a half-meter long in the desired configuration. A compact and dense weapon, what it lacks in reliabilty it makes up for in firepower. With a combination of 10mm explosive projetiles and 25mm pump-action grenades, the rifle allows each infantryman to engage light-to-medium armored targets with a wide variety of projectile loads. The design process did eventually produce miniaturized recoil-management systems to tame the beastly kick of the original design, to the point where shooters will often fire from the hip, without bracing the weapon on the shoulder. Hahahaha, best reloading press yet. My eyes usually glaze over for fine-grained hoplology, but that movie hugely informed my gaming back in high school. I approve. Well, given that it is the first week in April, I wanted to introduce everybody to a close personal friend of mine. I’m not a gamer, but this is very interesting, as a fan of the franchise who overthinks things. For awhile, I was confused about the dimensions of caseless cartridges, as there is really nothing to go off of but the extremely rare HK G11 cartridge. With a conventional cartridge, the first number is the width of the projectile at it’s widest diameter and the second number is the length of the casing. Seeing as a caseless cartridge obviously does not have a casing, I had always assumed that the second number was actually a measurement of the length of the projectile, itself; until I looked at the 4.73x33mm cartridge, that is. The “33mm” appears to be a measurement of the length of the entire cartridge, with several of those mm housing the primer and more propellant. 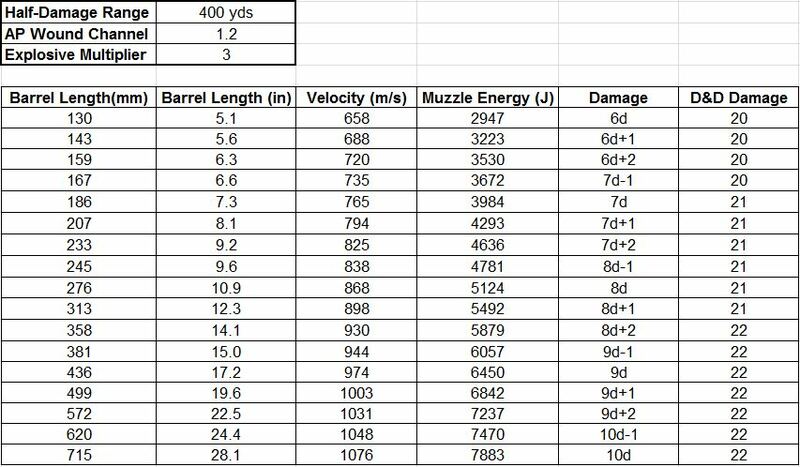 The 40mm case length listed here seems very excessive, as this round does not (in theory, obviously) have a chemical primer; it is just a projectile encased in an exploding; not fast-burning; propellant that is primed by delivering a concentrated discharge of electricity. As the Colonial Marines Technical Manual states, the amount of propellant is very small, but highly efficient. In other words, there is no space needed for a chemical primer. All of that being said, I think that what the creators of this weapon were referring to with the dimensions (10×24) was the projectile, itself. Given that there is very little propellant, and taking into consideration what I have read about caseless cartridges, and also taking into consideration the effectiveness of the fictional HE nitramine-50 propellant, I would have to say that with a 10x24mm projectile the dimensions of the entire cartridge (propellant casing) would be more like 12x28mm. The 12mm comes from an extra 1mm of propellant on each side of the of the 10mm projectile (remember; the propellant is a square at width), and the 28mm would be a measurement of a likely 3mm of propellant at the base of the round and another 1mm of a disintegrating plastic stabilization cap at the top. So, technically, the official dimensions of such a cartridge would be 10x28mm. This would also make the 10x28mm Smartgun ammunition more like a 10×32 round, respectively.